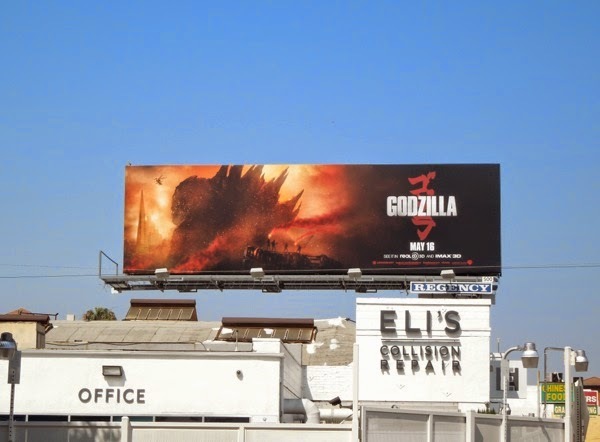 If at first you don't succeed, try, try and try again. 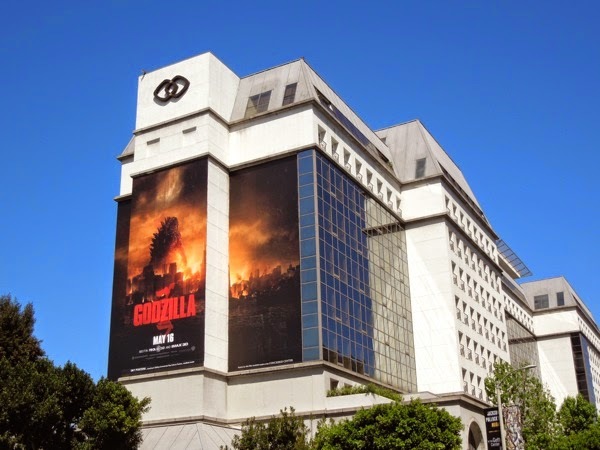 Japan's Toho Studios most infamous creation gets another big screen reimagining following Roland Emmerich's disappointing 1998 flop, starring Matthew Broderick. 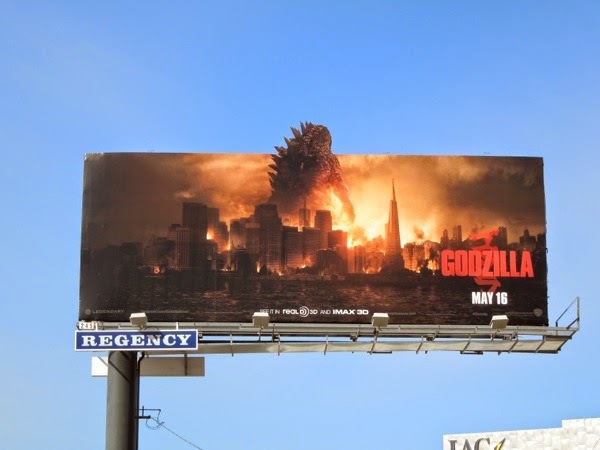 This time the new Godzilla has been made with input from Toho Studios to ensure the monster is faithful to the fearsome original and has the on-screen father-son duo of Bryan Cranston and Aaron Taylor-Johnson to fight the fire-breathing creature. 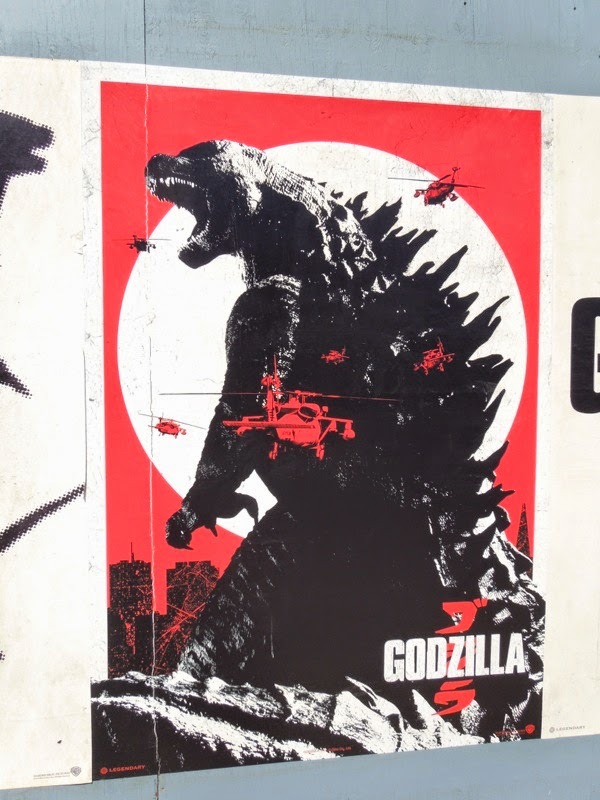 Whether this Godzilla will be a roaring success is in the hands of director Gareth Edwards, who's not unfamiliar with dealing with Monsters, as that was the title of his 2010 mini-budget, but critically-acclaimed indie movie, which dealt with the infected zone aftermath of an alien invasion. 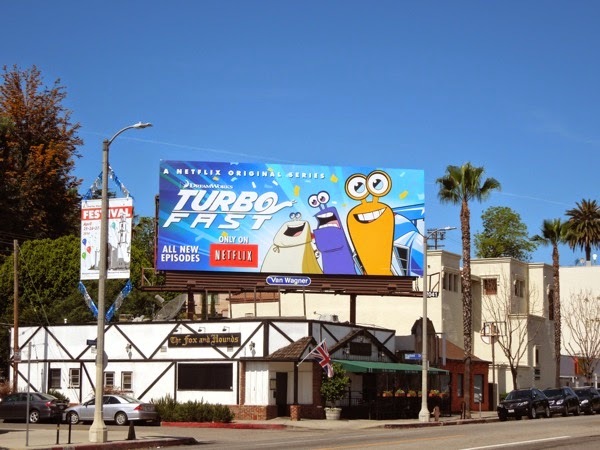 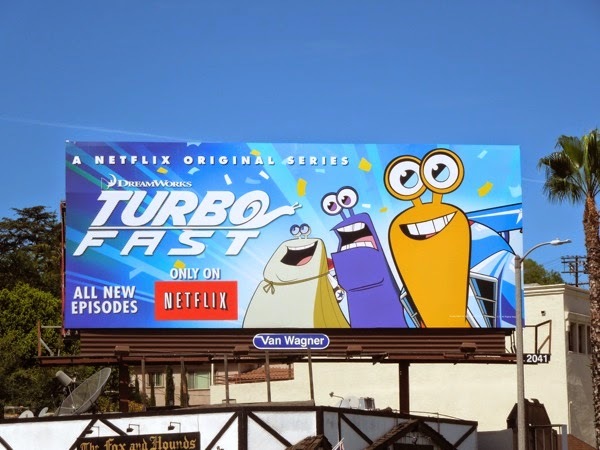 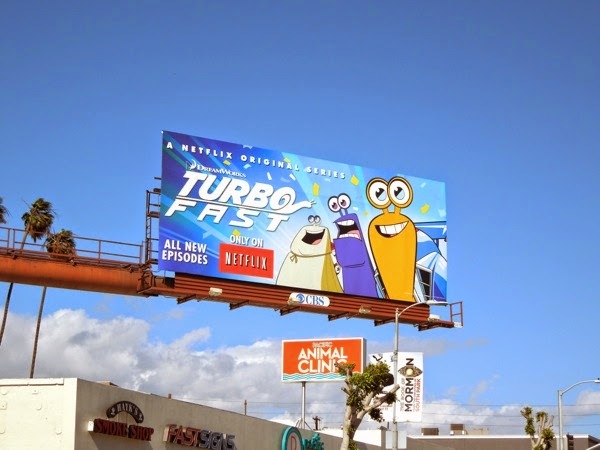 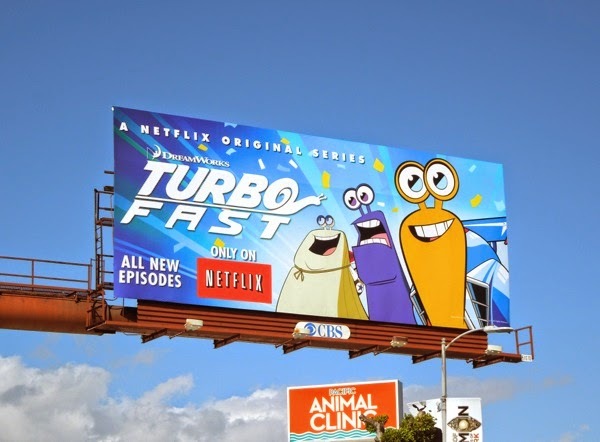 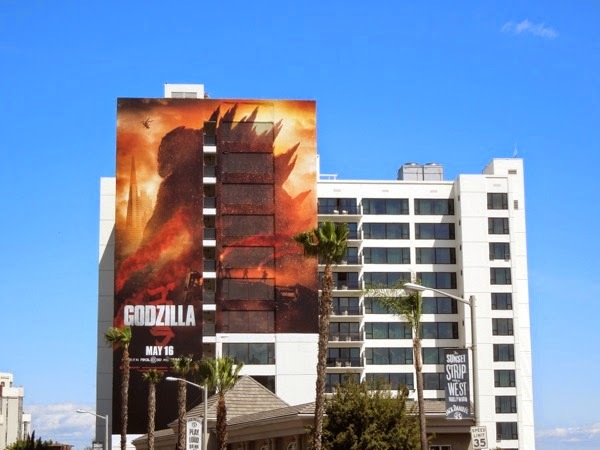 Only time will tell whether this reboot will be a roaring success, but obviously Legendary Pictures and Warner Bros. Studios believes in the behemoth, with a plethora of giant-sized wallscapes, special extensions and multiple creatives invading the L.A. skyline (and New York City) this month to support the movie's release. 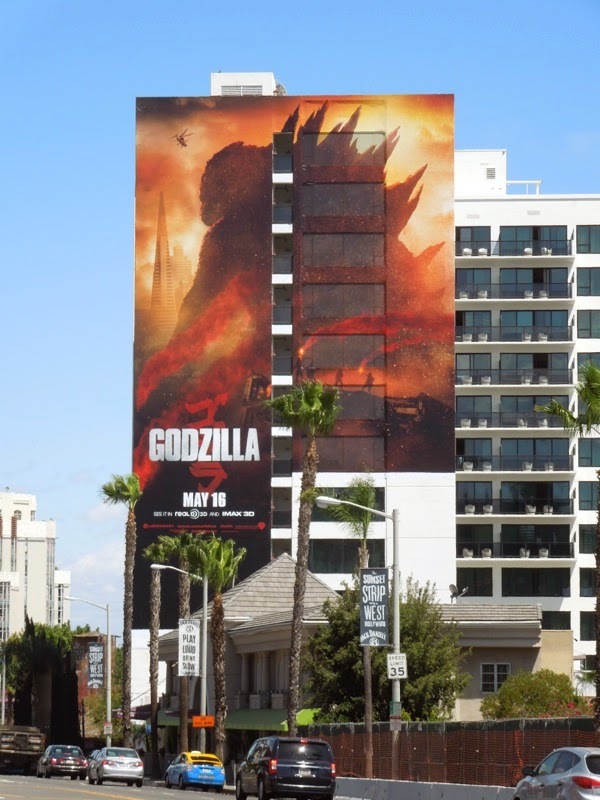 Sometimes less is more and this ad campaign for Godzilla certainly teases the threat of the gigantic monster with his infamous spiny back, long tail and gargantuan size, rather than throwing him directly in your face. 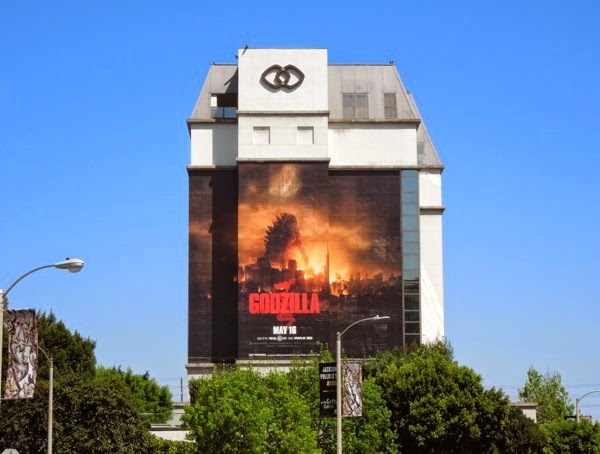 The last time monsters invaded L.A. it was for Guillermo del Toro's Pacific Rim last year, and they were met with giant robot fighting machines in defense of humanity, so Daily Billboard can't wait to see what resistance Godzilla will meet (obviously some missiles from above at least). 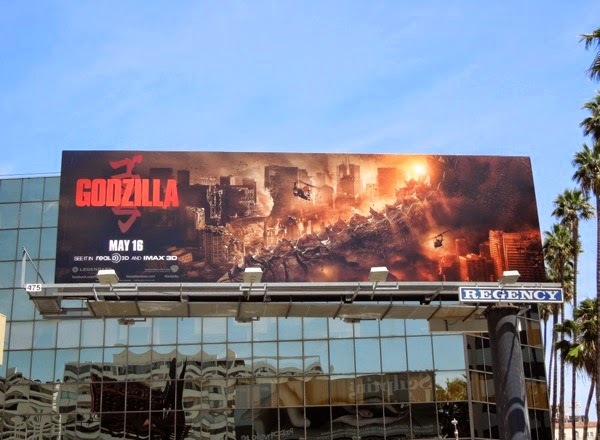 Even though it wasn't a huge domestic box office success in the U.S., the creature feature still did well internationally, so be sure to check out all these cool billboards for Pacific Rim. 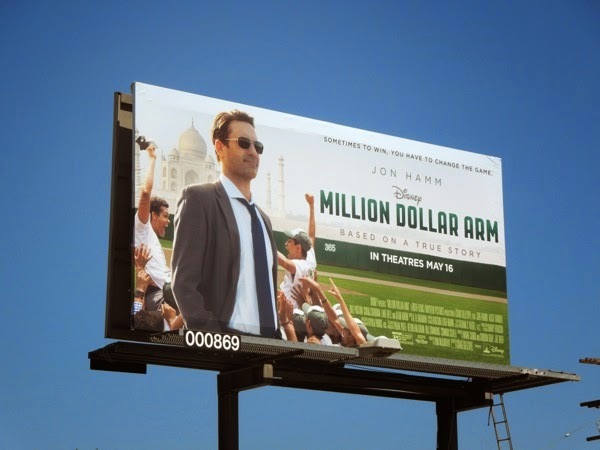 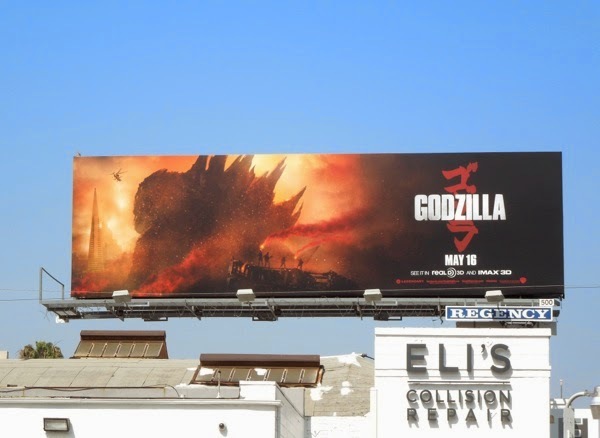 Daily Billboard is sure that the studio is hoping for better luck this time, both at home and abroad, by tapping into the iconic creature's Japanese heritage. 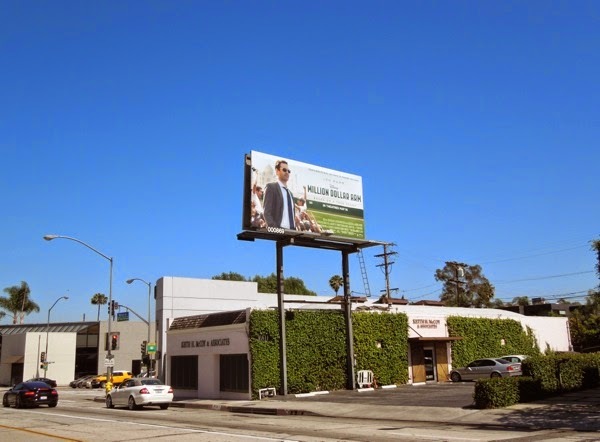 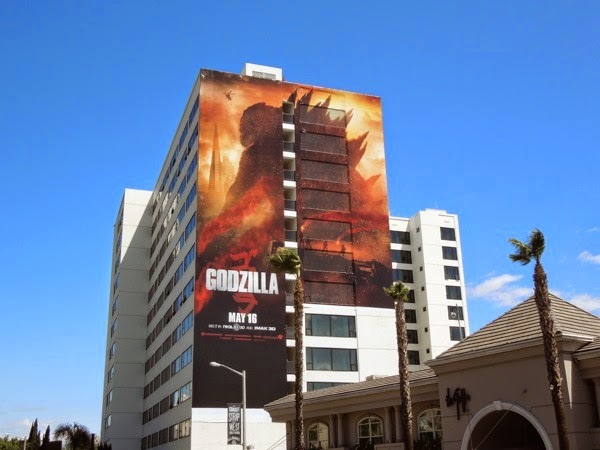 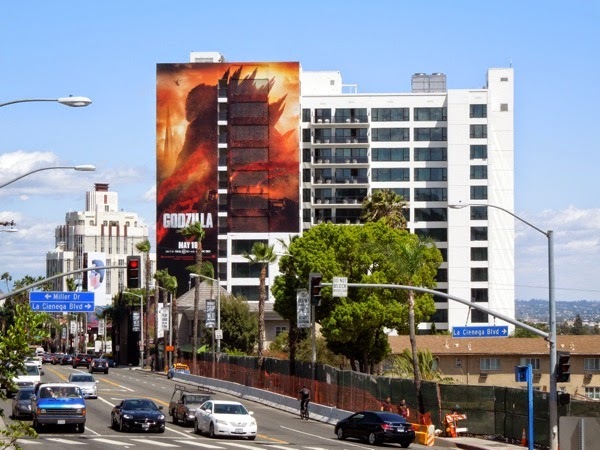 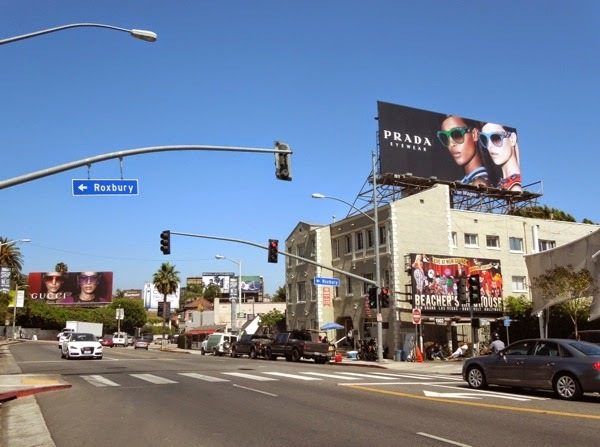 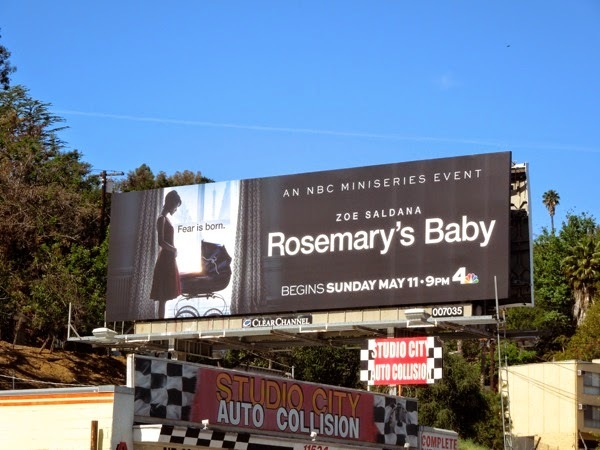 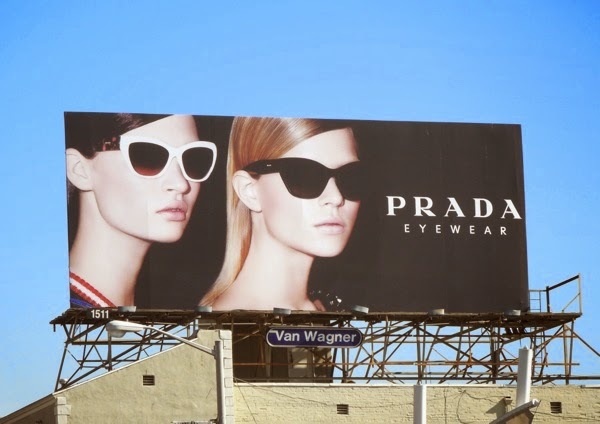 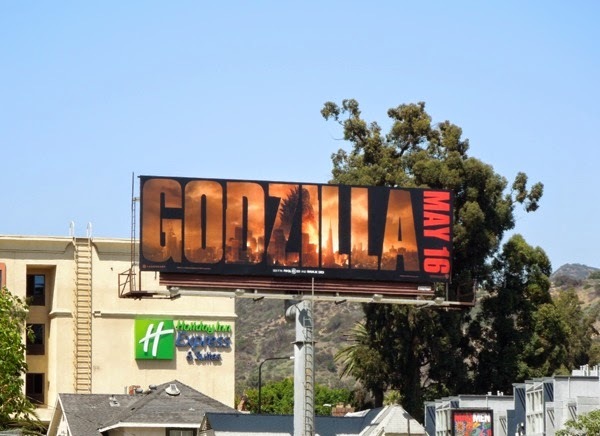 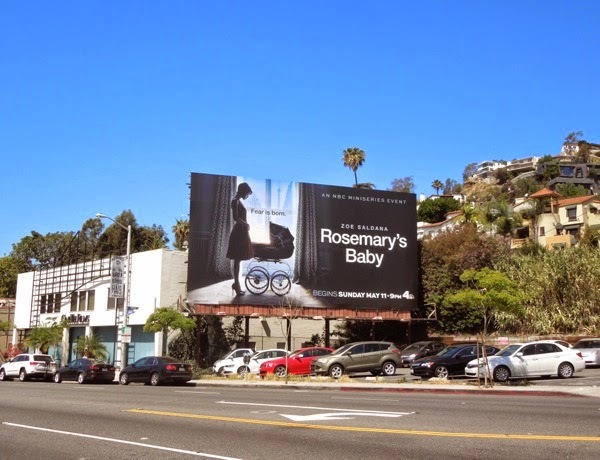 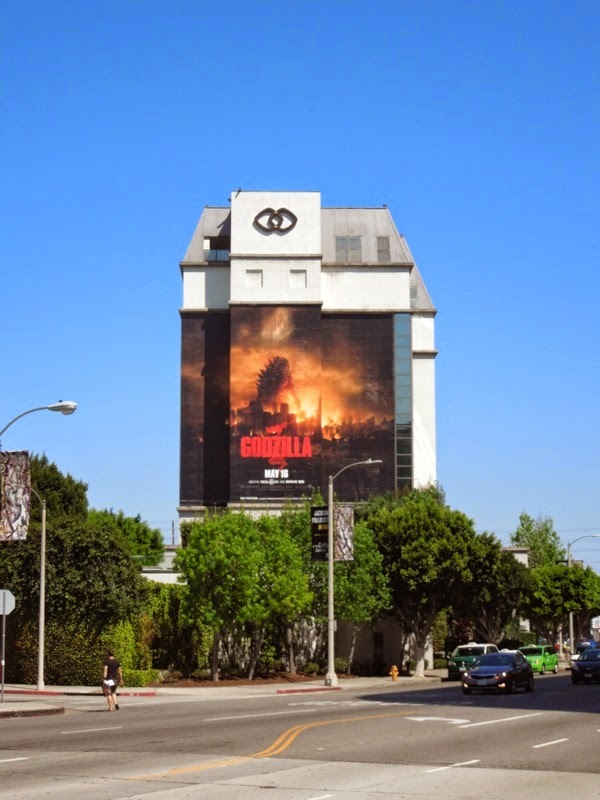 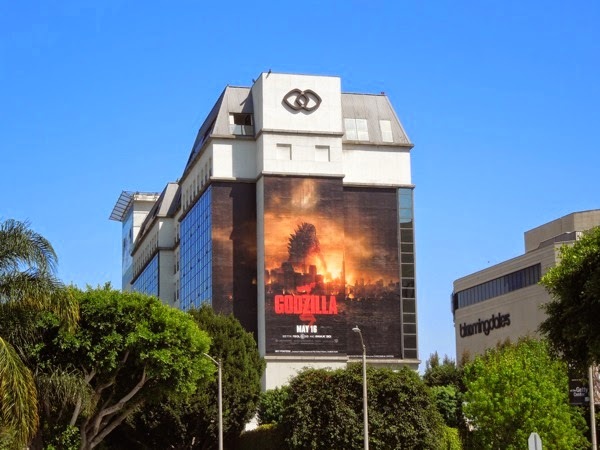 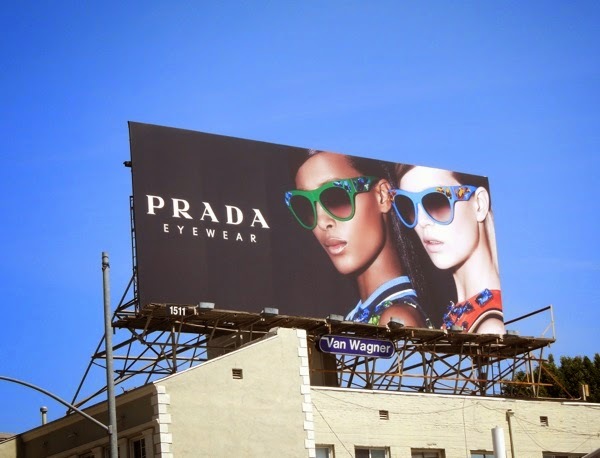 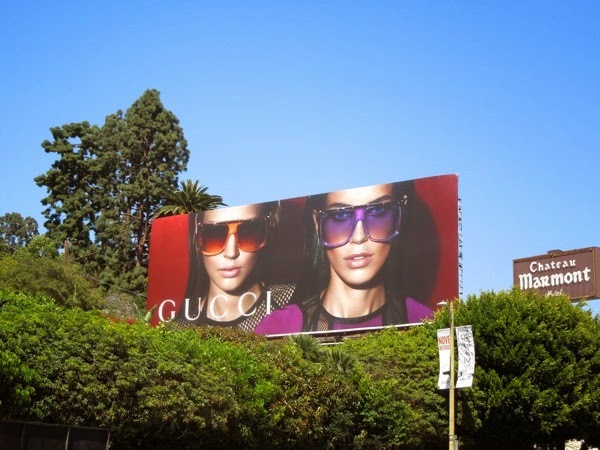 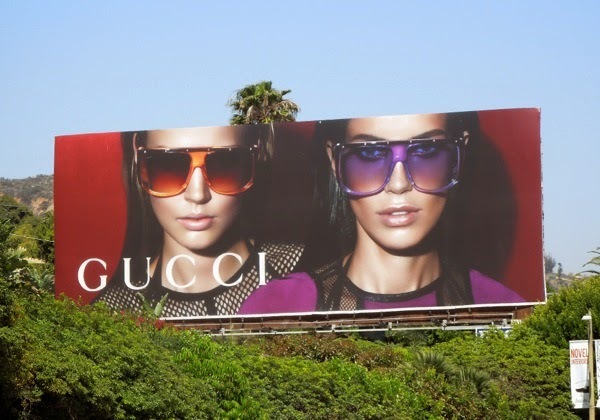 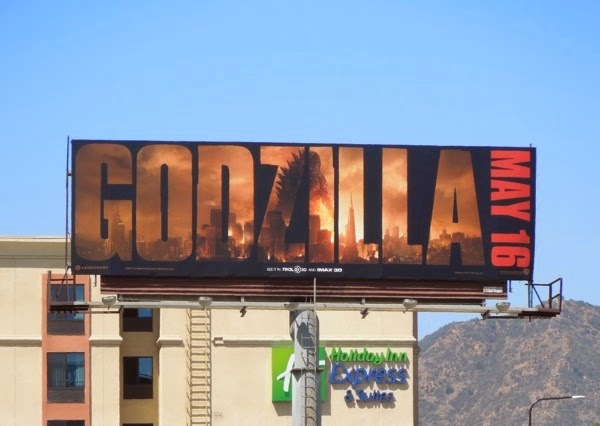 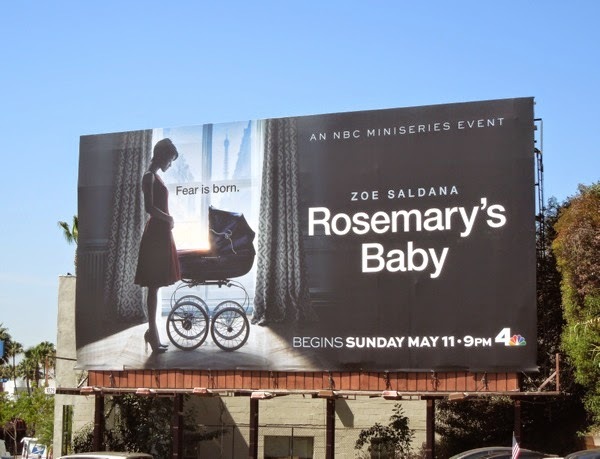 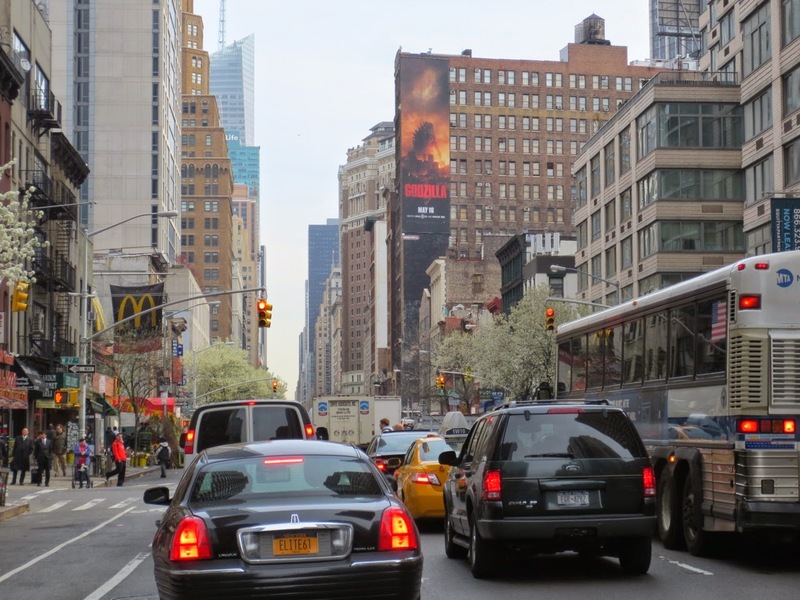 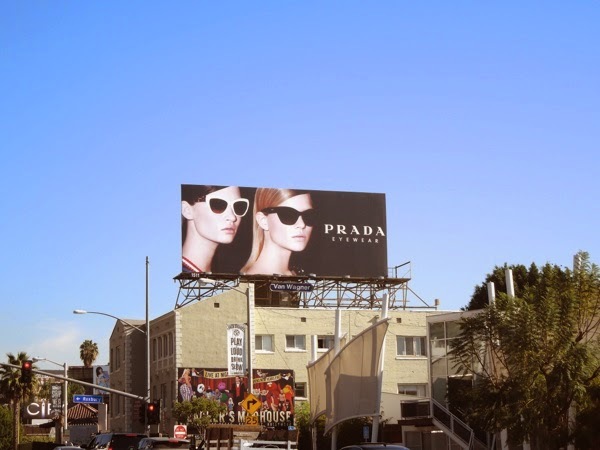 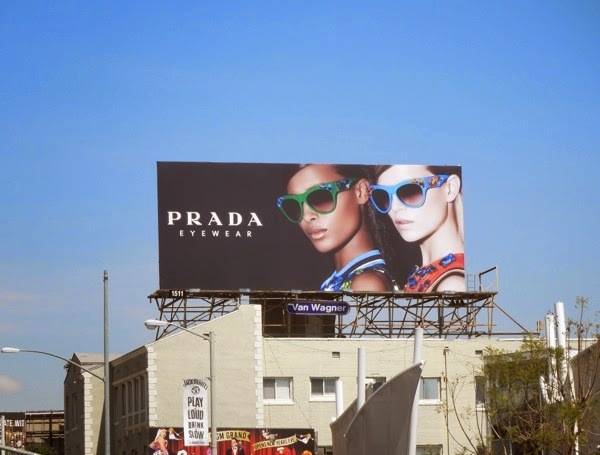 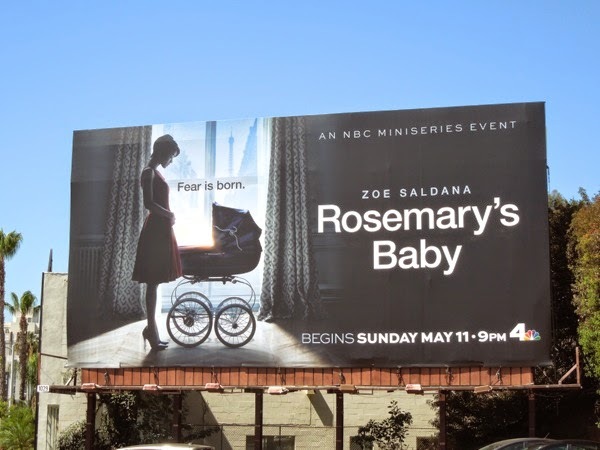 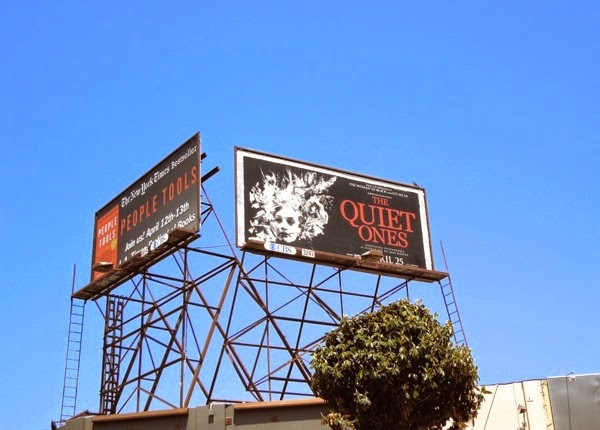 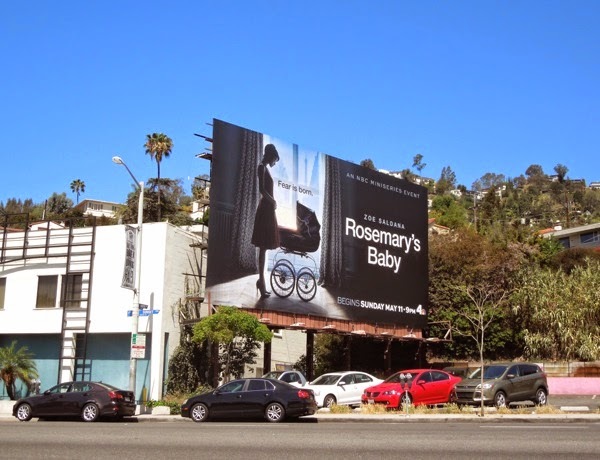 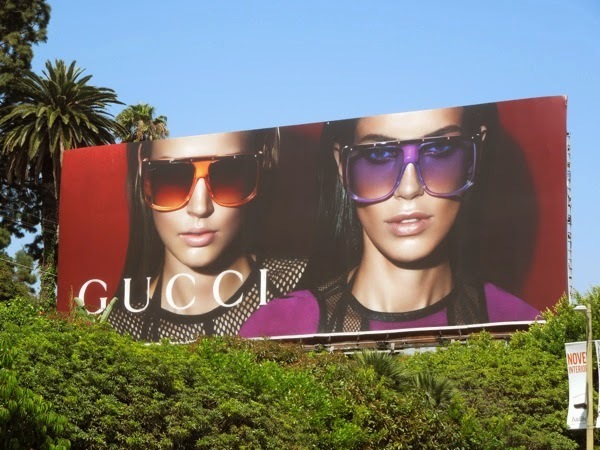 This assortment of billboards chronicling the devastation wrought by Godzilla were spied around the streets of L.A. from April 3 to April 26, 2014, including super-sized ads on the side of the Mondrian Hotel along the infamous Sunset Strip and on the side of the Sofitel Hotel along Beverly Boulevard. 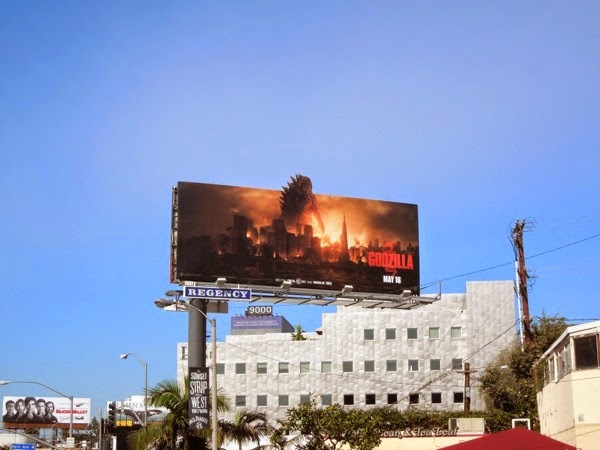 Let's keep our fingers crossed this Godzilla is a monstrous epic and not an atomic-sized disaster of a movie. 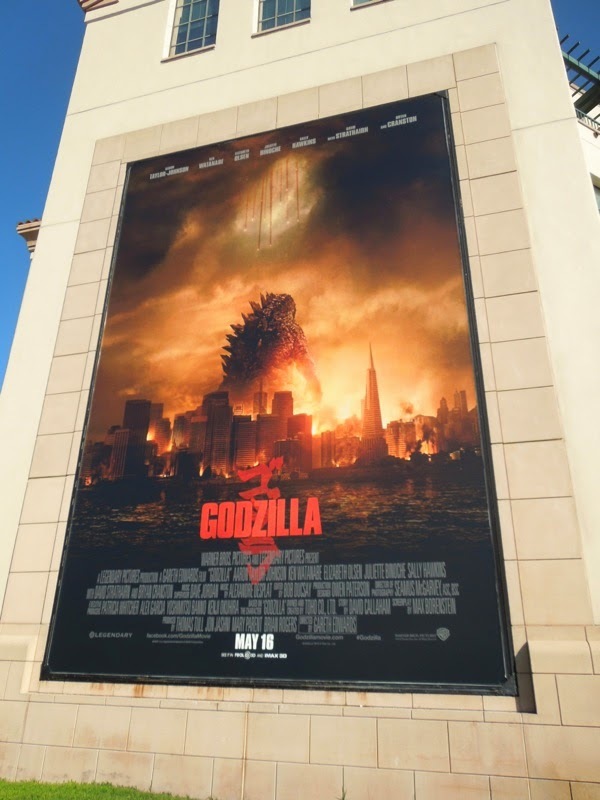 UPDATED: The Godzilla reboot enjoyed monster success at the box office, taking $93.2 million in its opening weekend in the U.S., so you know a sequel won't be far behind. 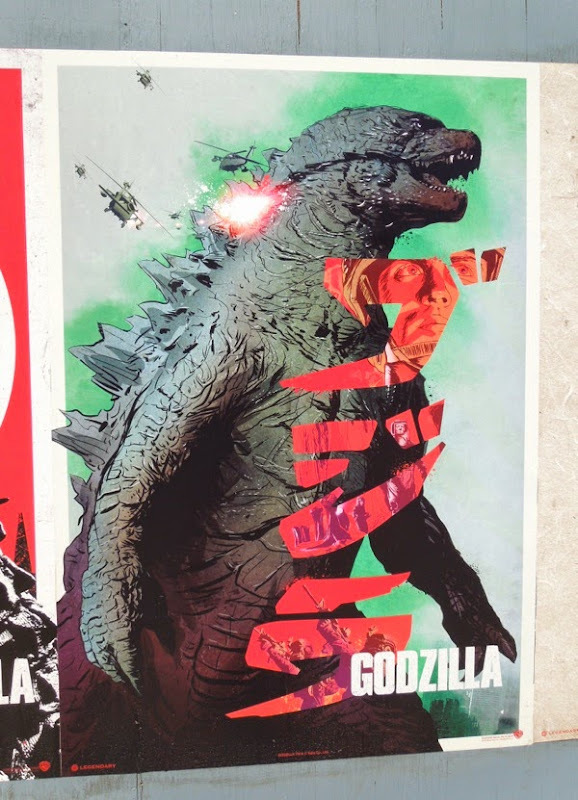 For all you fans, old and new, of the giant atomic creature will like these retro illustrated posters that harken back to the monster's Japanese origins and previous movies. 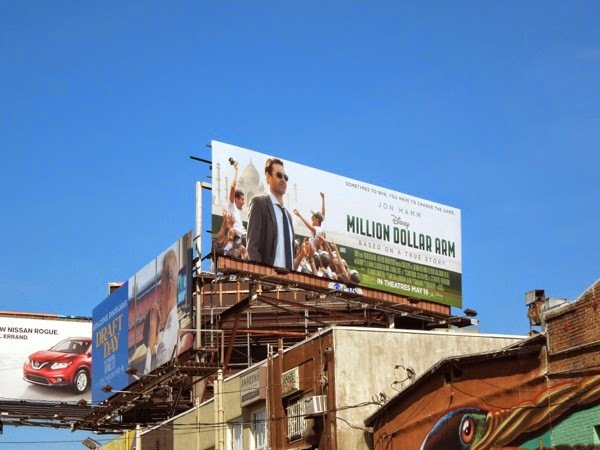 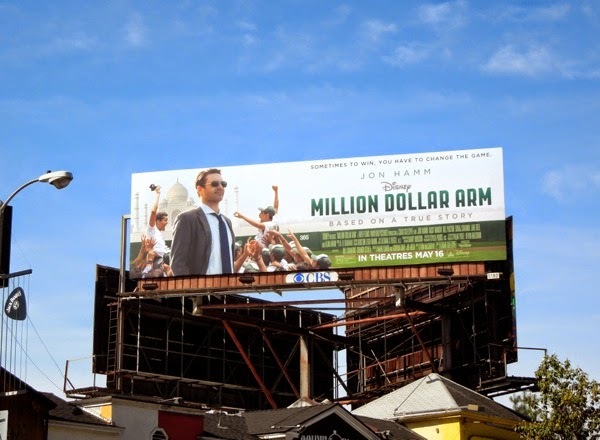 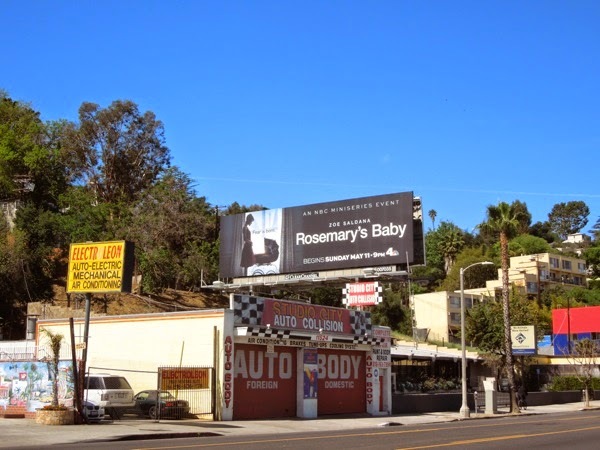 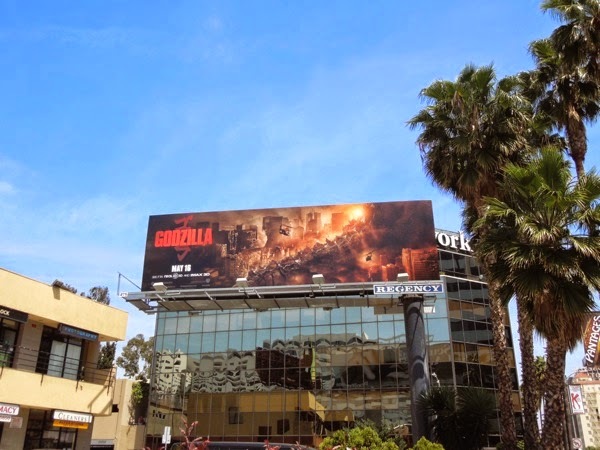 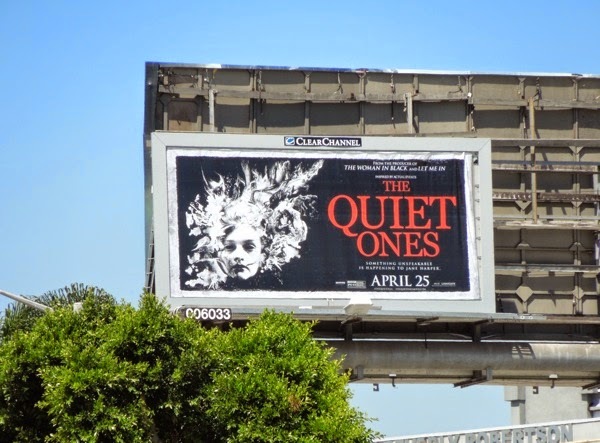 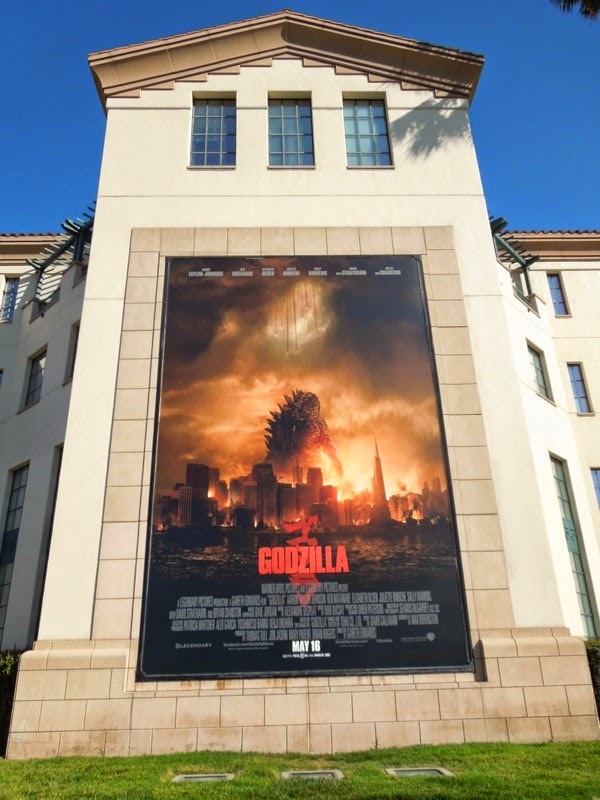 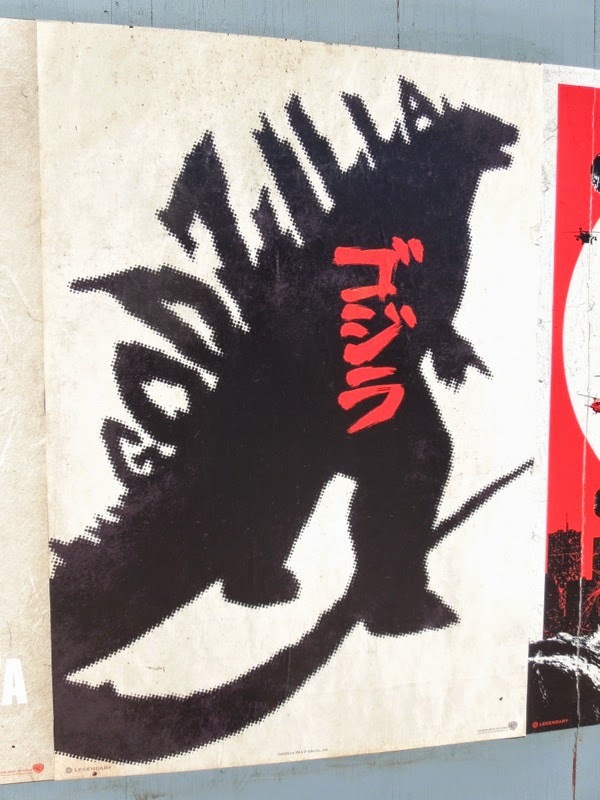 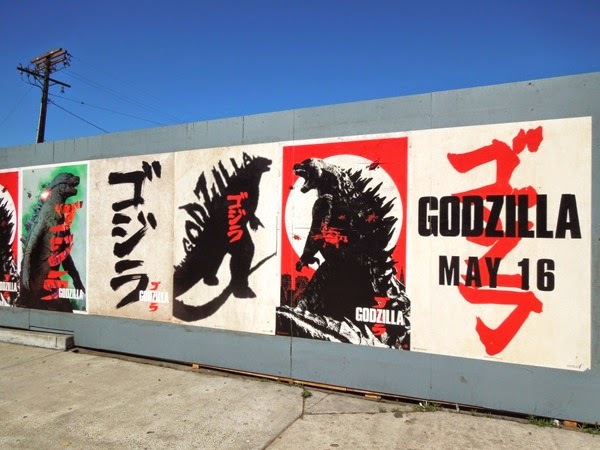 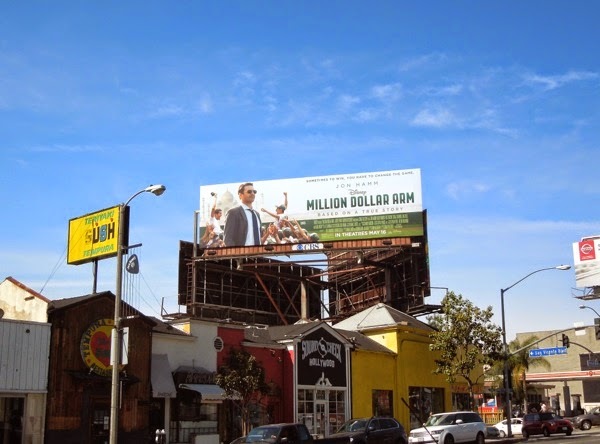 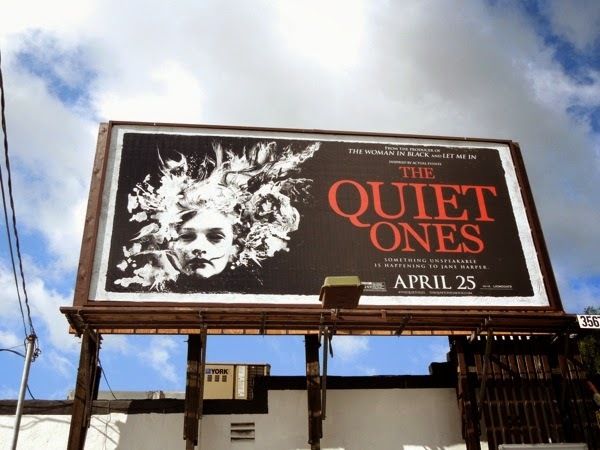 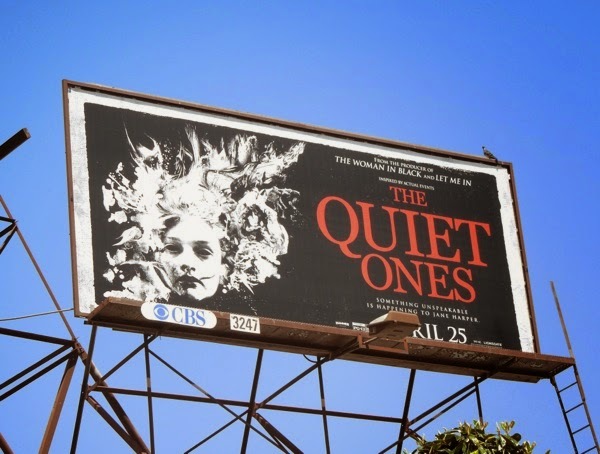 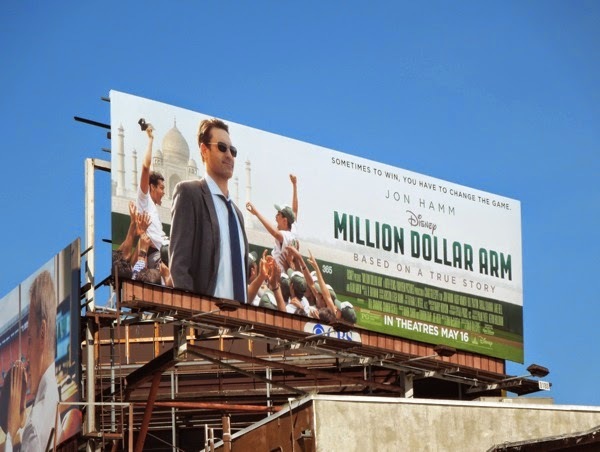 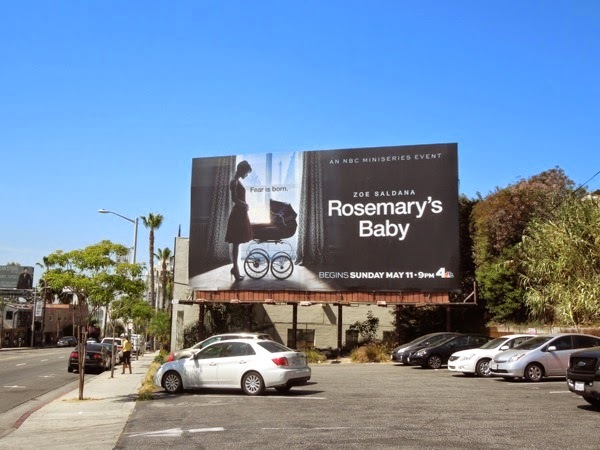 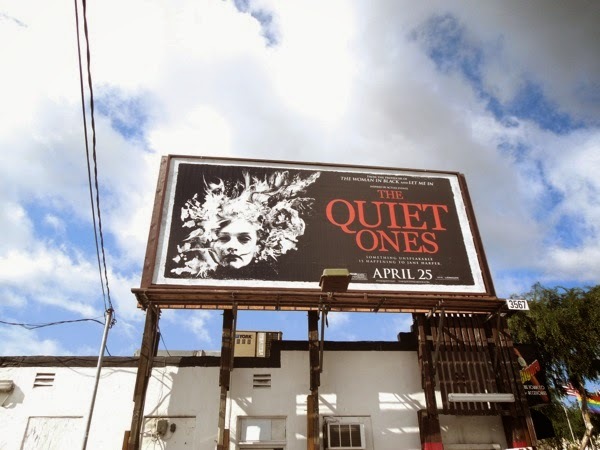 These vintage-style movie posters were snapped at the corner of La Brea and Melrose Avenues on May 14, 2014, and Daily Billboard's personal favourite has to be the version with Godzilla spelled out on the creature's iconic spiny back. 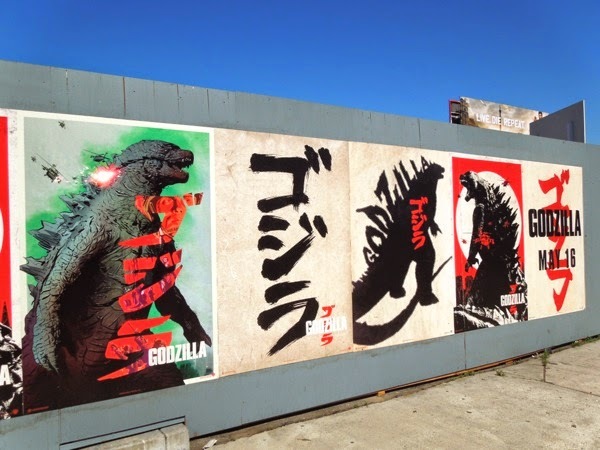 What's your favourite?